What Kind of God Would *Not* Condemn People to Eternal Torment? Answers In Genesis (AIG) recently posted an article by Tim Challies entitled: “What Kind of God Would Condemn People to Eternal Torment?” His article is a bold defense of the traditional view of hell as a place of endless, conscious torment for nonbelievers. It is so bold as to claim that one cannot believe in a good, holy God without believing that God will torture evildoers endlessly after death. First, full disclosure: I am a long-time fan of AIG. I commend their efforts to be Biblically-based, and to scientifically expose the lie of godless macro-evolution. I have supported their Creation Museum and admire their work to build a life-size model of Noah’s Ark. AIG, Challies, and I are on the same team, with the same goals. We all want to help people understand the world through Scripture, since that is the best way to follow Christ by faith. Once people understand the truth and authenticity of the Bible, they see a God who loves them so much that He sent Jesus to die to offer them eternal life. We all desperately want to see people receive this message. What makes Challies’ article so tragic is how hard it works against our shared goals. The false doctrine taught and the arguments used to defend it may be more effective in turning nonbelievers away from the Bible than the secular humanists AIG constantly challenges. Two key messages in the article work tragically together: an assault on the character of God, and a rejection of the message of Genesis. I know that neither AIG nor Challies wants to assault God’s character or deny Genesis, but the blindness caused by their unbiblical tradition has produced this outcome nonetheless. The good, just, and holy God of the Bible did not create a place of endless conscious torment. If He would have done that, He would be neither good, nor just, nor holy, by His own definition of each of these ideas in Scripture. Our free e-book and the resources shared on this site go into detail about the Bible’s definition of goodness, justice, and holiness. In summary: the goodness of God is shown in His love, which gives everything to save the lost. Justice is shown in the many references to punishing “according to their deeds,” not according to God’s infiniteness. The holiness of God is shown in the price He was willing to pay to make a way for people to be free from their evil choices through the sacrifice of Jesus. Suppose you hired a babysitter for your evening out. You learn later that she told your children that you said you would punish any misbehavior by putting staples in their fingers, cutting off their ears, then stuffing them into the microwave oven until they popped. And suppose your children were young enough that such nonsense made them question and distrust your parental love. If you are like me, there would be no words strong enough to describe your feelings in response. Yet the babysitter’s misrepresentation is nothing by comparison with the slander against God, if everlasting torment is not true. When we tell the world that God will torture them endlessly for not following Him, we drive them away, and we work against the God who loves them by insulting His good character. The ultimate irony of the AIG article is how it so dramatically it ignores the clear teaching of Genesis. It does this by re-defining “death” as “endless conscious torment” in hell. The most compelling case in Genesis comes from the judgment of Sodom and Gomorrah. In Genesis 19:15-24, the fire and brimstone that rained on those cities was “punishment,” caused them to be “swept away,” “overthrown” and “destroyed”. An analysis of the Hebrew shows that none of these terms mean “endless conscious torment.” They mean destruction—completely and totally gone. Jude interprets the destruction of Sodom and Gomorrah for us, in case we don’t see it clearly in Genesis. In Jude 7, he writes: “just as Sodom and Gomorrah … are exhibited as an example in undergoing the punishment of eternal fire.” This is the definition of “punishment of eternal fire”: Sodom and Gomorrah are gone forever. Never to return. Eternally. Are they still burning? Certainly not. However, the “punishment of eternal fire” is clearly evident in the fact that they are gone. To my brothers and sisters at AIG: you rightly admonish people daily to take Genesis seriously, to change their minds and believe the truth of God’s word. Will you? Will you, against centuries of man’s tradition, look deeply into Genesis, beyond the influences of Plato and other Greek philosophies, and actually read the plain words of Scripture? Will you do what you daily ask your audience to do? Or, will you hold on to the traditional view of endless conscious torment even though it maligns God’s character, conflicts with Genesis and the rest of Scripture, and keeps people from the truth and a relationship with God? 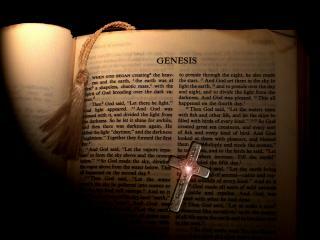 Another evidence in Genesis is when God prevented access to the tree of life. Because if man was allowed to live forever in an evil state, then there would have been the necessity of a hell. It was God’s mercy that insisted man would die rather than live forever. This is a good point: God’s mercy causes evil to be destroyed, and not to continue forever to expand the influence of that evil. The Bible does teach that there is a hell (Matt. 10:28), and that evil is completely destroyed there. The effects of hell last forever–all evil will cease to exist, never to return. Our e-book, Fudge’s resources, and many other great writings exist to help us understand the Bible’s teaching on these things.